My housemate Cecilia and I went to see this film the other night. We did so in flagrant disregard of the Benedict Cumberbatch rule, namely “Do not watch a movie, TV episode, or miniseries for no other reason other than one actor you like is in it.” The one actor in question is, unsurprisingly, Tom Hiddleston; we’re fans of his, nor are we opposed to Tilda Swinton, John Hurt, or the rest. 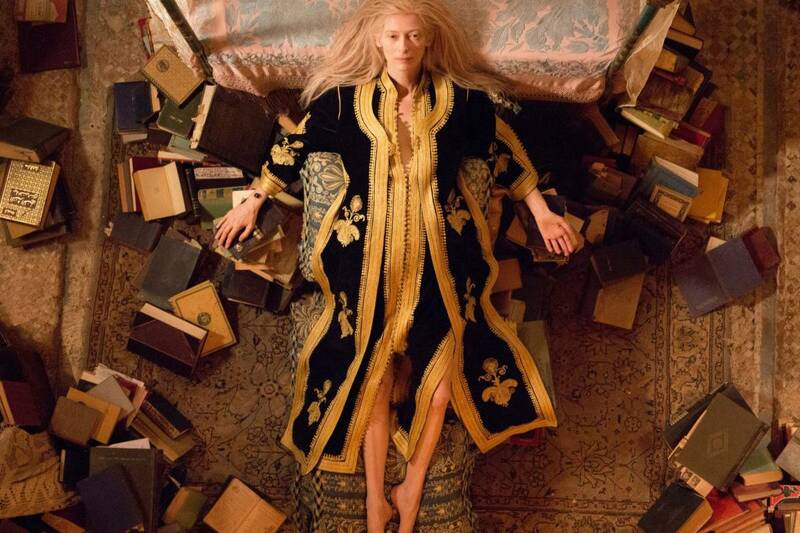 Sadly, none of them could save Only Lovers Left Alive from a deadly (undeadly?) slow pace. First, the good: as a whole, the movie certainly catches a quality, a flavor. It’s dark, coppery, and not very pleasant, but it’s certainly there in Eve’s brisk walk through Tangier (the most feminine I’ve ever seen Swinton), in the grungy melancholy of Adam’s house, in the streets of Detroit. Cecilia found this depiction of Detroit rather refreshing: instead of focusing on the city as the capital of crime and corruption, the movie focuses on its musical contributions, the grittiness of its urban blight, and its hope for better things. Eve notes the importance of the lakes all around, saying “This city will rise again.” Why she doesn’t go for the original Latin, Jim Jarmusch only knows. But then, Adam is the one in residence there. Caught in the 1970s as he is, his affinity for the city indicates that both hope for better, but neither really changes. The benefit of unending existence is the opportunity to read ALL the books. That stagnant quality of endless days might account for the sluggish plot. This is the most charitable explanation that comes to mind: that vampires, having spent centuries of darkness watching all that the “zombies” (ie, humanity) have to show – all the art, the music, the scientific advances – are doomed to ennui, to anomie, to acedia, and (should no sunlight, contaminated blood, or immortal beloved interfere) to suicide. The story arc, such as it is, might just be one more postmodern conceit for human lives with no overarching narrative, no implicit meaning. The lack of chemistry between Adam and Eve might have been intentional, depicting the natural consequence of being married for some 200 years. Sparks, fire, fizzle, distance, regroup. They try to patch it over with allusions to quantum entanglement, Adam describing them as particles which affect each other though they be a universe apart. Perhaps Donne could make that metaphor work; this script can’t. The less charitable and possibly more realistic explanation for the film’s torpidity is poor writing and an undeveloped plot. At some points it was like watching Catcher in the Rye but with vampires in. There are amusing moments – Adam burying his head under the pillow to avoid Eva, Eve’s iPhone calling Adam’s curious corded setup, the wrinkle of disgust that crosses Eve’s face on watching a body dissolve – but for the most part, neither Adam nor Eve compel me to care much about their undead existence or their butter-scraped-thin romance. By far the most interesting character was Eva, Eve’s younger sister. She is obnoxious, she is careless, she drinks them out of their fugue-inducing O-negative – and she somehow remains lively, as Adam and Eve do not. We left the theater wondering how she spent her time in LA, how she’d offended Adam in 1925 in Paris, what bloodletting would attend her trip back west. Possibly devotees of artistic films would appreciate details that I missed. There are a number of overhead shots, a heavy-handed motif which attempts to connect the spinning of the stars, of records, and the eponymous lovers. Adam takes a look at all manner of classic guitars, so perhaps Gibson fanboys would be into that. Those with a dog in the fight over the author of Shakespeare’s plays might be amused when Christopher Marlowe turns up. But for my own part? Speraveram meliora. I’d hoped for better. They’re hardly lovers, and barely alive. Today, readers, I hesitate. I’m hesitant to write of something that someone else has written about better. I hate to discuss very broad concepts, and I hate to admit that I have no clue what I’m doing. And yet…I’m fighting that hesitation. Writing is better than worry; the reader may not have encountered the proverbial Someone Else who is better than me at everything (Khan? Is that you? ); and if it was worth my cogitation, it might well be worth someone else’s. An Experiment in Criticism taught me not to fear reading a book more than once, even many times over; it follows I ought not fear thinking a thought more than once – or, in fact, many times over. So here’s what I’ve been wondering: what is the world really like? We all observe the world from our particular vantage points. We experience our own lives, hear about the lives of our families, our friends, our colleagues, our churches, our whoevers, whatevers, wherevers. Our social media feeds us a constant stream of information about Life as Someone Else, whether that person is really quite similar to us, or completely different: the other side of the world, the other side in beliefs, otherwhere in health, otherwise in wealth. There are the books, the articles (in magazines, in print, on the web), the television shows, the cinema. We do our best to cut a swath through the unknown, and the stories we feed ourselves, in whatever medium, give us some sense of what is out in the white of the chart: whether dragons lurk there, or poverty, or beauty, or war. This is fortunate, for me if for no one else; anyone who knows me very well at all knows that I dwell in detail, being a very poor hand at sweeping generalizations. But no matter how much we learn, there is still so much to know: 7 billion lives out there, right now, not to mention the billions of lives from centuries past. So many streets in towns in counties in countries where we’ve never walked. There are so many biases we have ourselves, or problems in perception and recall and understanding, and so many agendas, conflicts, and obstacles in receiving information from other people. So here I am, left wondering: what is, in fact, true about the world today? Not to get all Cartesian about it, but which authorities, if any, can I actually trust? Which do I trust without realizing it? Here’s a minor example of the last: I have in my mind the image of a high school party: parents gone, two hundred people showing up, booze and drugs going around, pounding music, and plenty of interpersonal drama like only high schoolers could foment. I have never witnessed anything like this outside a movie. Do such parties actually happen? Is this a true image (στερεός τύπος) sifted from reality, or a mere cliché wrought by the media? Did such parties eventually start because people saw them in movies first? Another example: some famous ladies protest use of the word “bossy.” Some other folks argue that this protest is arbitrary bullying of other people’s use of language; others note that there are more injurious words to worry about, and much more insidious problems. I’m still sitting here wondering “Is that a real thing? Do people actually call other people that, and does it actually hurt? Like, more than other words? The last time I saw or heard that word, it referred to an 11-year-old Hermione Granger, and it really was accurate enough.” Who actually ought to win my sympathy in this fight? No one, perhaps – I probably ought to walk right on. It was probably inevitable that Archie would change with the times, but I don’t think anyone thought the comic needed to become a statement about The Way We Live Now, where “we” is defined as some narrow subset of the urban creative class. …Of course, the gay marriage issue of Archie flew off the shelves, so it’s hard to tell whether the publisher is just capitalizing on the novelty to make a quick buck or actively trying to redefine cultural norms. But looked at over a long enough time horizon, the former will accomplish the latter. That article also uses the phrase “With the way that public schools are slaloming toward Gomorrah…” as though that were most certainly the case. I figured it was – I went to private school and keep hearing the most dreadful things about public schools – but one of my housemates went through public school and reported her experience as distinctly not-Gomorrah-like. Admittedly, her high school experience was some 12 years ago, to say nothing of her grade school experience, so who knows how much things have changed since? This is, I think, the aspect of reality with which I grapple most wearily: culture and society, they are organisms. Whether we wrestle with them or try to unite ourselves with them, they are growing and shrinking and transforming all the time. Perhaps you thought you had a fine snapshot of the way things are; blink and you find that it is how things were or, just as likely (it seems), how things were not. At present, all I can do is thank God that my life doesn’t actually depend on my having expert knowledge. Experts! As any of us would trust an expert in child development to know an individual child better than his parents, or as if a landscape expert can know a man’s farm better than the man whose livelihood depends on it. No, we don’t entrust the living of our lives to the experts; we carry on in our narrow swath, we use what tools we can and gain what knowledge we might. One of our problems is that we humans cannot live without acting; we have to act. Moreover, we have to act on the basis of what we know, and what we know is incomplete. What we have come to know so far is demonstrably incomplete, since we keep on learning more, and there seems little reason to think that our knowledge will become significantly more complete. The mystery surrounding our life probably is not significantly reducible. And so the question of how to act in ignorance is paramount. 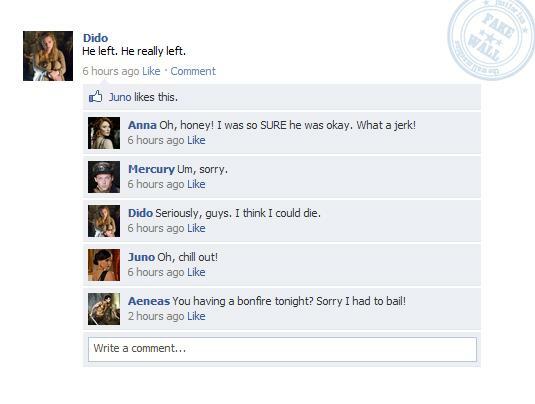 Have you ever wondered what classical stories might look like if they were written in modern terms? Have you ever wondered if this technically advanced society could create – in its particular voice, approach, and form – as nuanced, universal, and delicate an art as the past ages. Recently, archeologists have uncovered several very telling artifacts that depict the Ancients as being much more similar to us than we think! Upon deciphering and restoring, the artifacts are revealed to be something altogether unexpected and amazing, and might even rewrite the cannon of literature as we know it. Now, solely at the behest, scheming, and brilliant power plays of the Muses of the Egotists Club, here is a sneak peak of these awfulsome relics! Created with the wonderful powers of time-traveling telepathy, and the Wall Machine. What a question! And how tempting it is to lay aside the booklist question in order to pursue the nature of the catastrophe…but I’ll keep myself in check. I talked over the booklist question with a friend I knew to be familiar with Miller’s A Canticle for Leibowitz. We agreed that we would *not* bring a shopping list, nor blueprints, unless the blueprints were extensive enough to be of use. Rather, we’d opt for something more fundamental, and would not limit ourselves to one book unless we had to. Thankfully Thalia’s already got charge of the History of the Peloponnesian War, which did arise as a possibility in the course of our conversation. We talked about bringing the Bible, Shakespeare, the works of St. Augustine, Pascal (I’d bring the first two and my friend could handle the latter two). We pondered the best way to sum up or collect all the pieces of art or music in a volume (and couldn’t really get beyond the Norton Anthologies of both, so if you have other suggestions, please make them). We figured that it might be wise to bring as much information on chemistry, physics, and calculus as possible, despite our personal failure to study them very deeply; why, we asked, leave all the legwork to the people trying to rebuild the world? Then I consulted my eldest brother, who, after due mention of the Bible and Shakespeare, determined that he would bring a Latin missal, breviary, and patristic writings; a collection of Plato and Aristotle; Homer and Virgil; Dante’s Divine Comedy in Italian; all of Aquinas; and (somewhat peculiarly) a scientific manual that our dad consults regularly. These, he figured, were among the documents on which the present civilization was founded. If they did so the first time, then there was no reason they should not again. 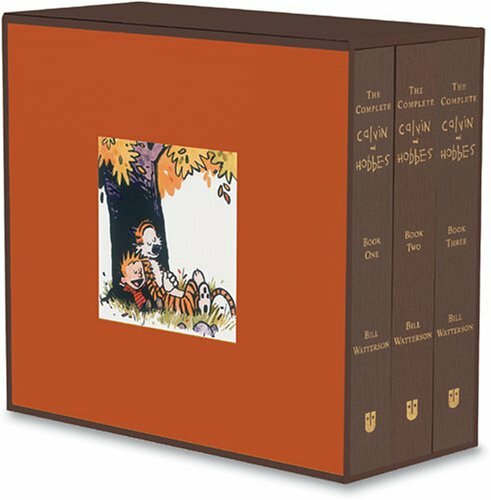 So, figuring he would have those covered, I imagine myself bearing the dictionary; a volume of Anglo-Saxon poetry; The Wealth of Nations; a pretty solid anthology of not-Anglo Saxon poetry; some book or other on animal husbandry and agriculture; the small bag of honeymoon-worthy books; and The Complete Calvin and Hobbes. …then hopefully I’d find the person who brought Tolkien along. Having long subscribed to the view that it’s preposterous to plot out first names for one’s entirely hypothetical children without having any idea what surname would be appended thereto, I have not, to be frank, spent a lot of time choosing any. But I will confess a particular weakness where names are concerned, dear reader, and that is finding out what names mean. Because my name is a common noun, capitalized, I took to translating it into other languages; any given Solo cup would read “Alegría” on one side and “Freude” on the other and “Alassë” for thoroughness on a third. On finding that any other name could also be translated once one discovered its meaning, I figured out that my brothers’ names meant “little,” “martial,” and “gift of God,” respectively (and, more importantly, that in Quenya I could call them Pityon, Carnildo, and Eruntalon). Not only so, but my friends evidently embody such traits as: song; earth-digger; grace; pure; pure; pure; Christian; Christian; honey/dark/we were never quite sure; reborn; powerful leader; little king; princess; reaper; commander of armies. …there are, you may deduce, a number of Katherines. The Princess Bride – Wesley – Old English, “dweller of a western meadow” – which might be especially false if the family ends up on the Eastern seaboard. Where he shall become a Dread Pirate. Muahaha. The Ballad of the White Horse – Colan – Gaelic, “people’s victory” (or, depending whom you ask, “dove”) – Man shall not taste of victory / Till he throws his sword away. And I’d have people remember that. My only concern is the potential for misfortune should people render my poor son’s name as “Colon;” at best, it’s a punctuation mark. The Chronicles of Narnia – Edmund – Old English, “wealthy protector” – Thalia and I might have to duke it out for this one. Everyone wishes there were a wealthy protector in their family, right? In the Hall of the Dragon King – Quentin – Latin, “fifth” – Totally picked this before reading Thalia’s post the other day; Quentin went from weedy acolyte to SWORD-FORGER, which is my favorite part of Lawhead’s work. Possibly dubious name-wise if I don’t have 5 children…but perhaps more reasonable than Septimus, which also appeals to me despite it being the name of a blood-spilling, power-hungry uncle in Stardust. Ender’s Shadow – Nikolai – Greek, “people’s victory” – Should we not ask the people who think Colan means dove, this might put me in the peculiar position of having sons named with the same meaning (whatever, man, I bet there’s a family somewhere with sons named John, Matthew, Nathaniel, and Theodore). But Colan is a sword-flinger whereas Nikolai is a brother among brothers. We just won’t shorten their names lest the “col” root confuse anyone. Howl’s Moving Castle – Sophie – Greek, “wisdom” – More desirable than rubies. That Hideous Strength – Camilla – Latin/Italian, “young servant” – Is it bizarre to name a daughter for a character who likes weather? Very well, then, I shall be bizarre. The Winter’s Tale (and nothing else ever, no nothing, nothing at all) – Hermione – Greek, “messenger” or “earthly” or “travel” or “something else related to Hermes” – I can’t actually name a child this. No one can pronounce Hermione on the first go-around, and Hermione of myth and plays does not, in my estimation, have the happiest of lots. But it’s an awfully pretty name when said correctly. The Odyssey – Penelope – Greek, “weaver” – Hopefully people will address her without rhyming her name with “antelope.” Plus the name’s practically synonymous with fidelity. Yay! Gaudy Night et al. – Harriet – Old German, “home-ruler” – Obviously this cannot be the only Germanic name I come up with, but for right now, it sounds reassuringly solid. Heaven only knows what surname they’ll work with. Also known as "The Face That Launched A Thousand Ships". Thalia: Well, I’m sitting at the Laundromat listening to a strange lady draining parsley sauces on the cooking channel. My muse is distracted! The cheese is melted and hot! Melpomene: I just came from a house where the three year old boy chose to spend his hour of television watching Martha Stewart. Melpomene: He promised to decorate cookies with me later. Thalia: That is a lovely thing. I think the men are the ones who really appreciate beauty Here’s this little 3 year old looking for order and beauty. And finding it, in all odd places, on the Martha Stewart show. Melpomene: Interestingly, some of my friends were just having a discussion – er, argument – about whether or not Helen was worth the destruction of Troy. Thalia: Was there a conclusion? Melpomene: The men all said “yes”. She is the Ideal of Beauty, and beauty is always worth sacrifice. Melpomene: The women emitted a resounding, “no”. One person is not worth the destruction of a city. Thalia: While I agree that it was a high price, I am inclined to side with the Gentlemen in this matter. Thalia: Especially considering that enough time has passed that we should see Helen as a metaphor as well as a woman. Time, that purger, removes individuality, but leaves the shape of a type. And for Beauty and its preservation, many have fought wars. Melpomene: While I think Helen is often overlooked as a real character – she does have a surprisingly human realism in her portrayal – I do I think that she was not completely worth the fall of a nation. Was she meant to be so simple a symbol? Thalia: Doubtful, honestly, but that has become her role. Melpomene: Is it what was intended as her role? Yeats calls the men – of mankind – who search for beauty and meaning and love, “Those Who Search for Helen”. Thalia: If not, what? Given the judgment of Paris, she was set up as The Beauty. Melpomene: But something in Homer’s portrayal of her emphasizes her very humanity. She was, after all, but a woman. A mortal. Thalia: Then why didn’t she step forward to stop the war? Did she have a different view than Normal Woman? Melpomene: Well, she blames the gods. And, frankly, Venus did make her run away with Paris. Thalia: Oh how very fatalistic of her. Melpomene: And she regretted it deeply. Thalia: Did she? I don’t recall…. Thalia: From her perspective or from ours? Melpomene: Oh yes! The bedroom scene, where she is weaving while Paris plays with his arrows is filled with her fury. Thalia: Ha, but she got the dumb Trojan, didn’t she. . . . . . . I bet he was a perfume model. Frankly, I think she had as much free will as you and I, but I don’t know much about what the Greek view of free will was. . . . . . . Were the Fata so irresistible that even sin was inevitable? . . . . also known as "The Patsy Prince Pansy-Pants". 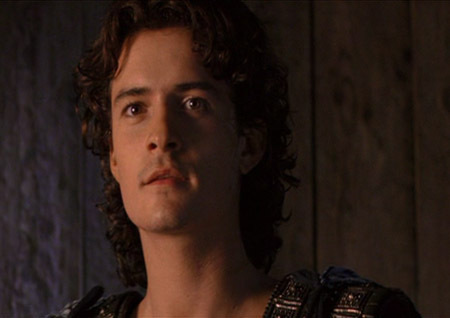 Melpomene: Well, he was played – in a piece of brilliant casting – by Orlando Bloom! Melpomene: Given that so many Greek characters – even gods – fell in love against their will, it might be safe to say that her will was not fully engaged . . . Also given the said paradigms of this myth-world. Thalia: Did she ever reengage? Melpomene: That has always been my question. When Priam has her point out the warriors of Greece, or Odysseus sneaks into the city, did it ever occur to her that she could GO BACK? Thalia: As a modern American woman, I have no idea. I have a very strong sense that if you think its right, you stay, and if you think it’s wrong, you go. Melpomene: What would Homer have said for our modern life? Thalia: Well, if it wasn’t worth the siege, she could have …up and left… A la O Brother Where Art Thou. Sirens. Occasionally referred to to in popular literature. And scary movies. Melpomene: Pfft! Runnoft. Oh, for the Cyclops and sire-EEns! Thalia: So either, Helen was content to have them fighting over her, or she thought it was out of her hands. Melpomene: MilliHelen? Dare I ask? Thalia: Enough beauty to launch 1 ship….at the cost of a minor feud. Not my joke, but terribly funny. Melpomene: So, how many-a-ship-wife are you? Melpomene: I think I am worth 6 and half ships. If only on account of my blitz poetry skills. Thalia: Nine. I am worth 9 ships. I think you are worth twelve. On account of your Aristotelian glory. Melpomene: Ah-HA!! Should we count for cooking skills? And how big are these ships? Thalia: These are triremes. Sadly… not super cool battleship. Melpomene: Can we upgrade? I want a Carrier. Thalia: But I sank your battleship, so nothing doing. Melpomene: And I want a cute little tugboat. Thalia: AWWWW! I do think your cooking, being slightly less….incendiary…..than mine, warrants an extra ship. Melpomene: True. My hams do not explode. Thalia: You can have a tugboat for that. Melpomene: But exciting culinary adventures might be worth more to some men! Thalia: My hams do have comic and social value. Melpomene: Again, men appreciate such a quality. Thalia: The men on airplane carriers, preferably? Melpomene: Exactly! Men with a taste for the heavenly and sublime! Thalia: Lovely! Ha! I see your punniness . . .
Melpomene: I wish I could figure out HOW to make my hams explode. Thalia: Put a sealing lid on a vat of bourbon soaked ham. Melpomene: I did once have my cake turn into flame. Melpomene: I think that it was the whisky that I put in it . . . .
Thalia: Maybe. Hard to say. But maybe. True Beauty. THIS never lets me down. Melpomene: I tend to believe that everything is better with whiskey. Even BEAUTY! Thalia: As when you and I met. Which was beautiful. And full of tea and whiskey! Melpomene:You and me, and tea and whiskey. It is a perfect friendship. Melpomene: If Helen had had some whiskey, she might have summoned the courage to walk out of Troy. Thalia: We could have given Helen some real courage! It is that! Melpomene: So the issue might be, that Helen was not enough of an ? Thalia: I think that is what it boils down to. Melpomene: And for the purposes of this conversation, we should explain what we are making “Aristotelian Woman” mean. Thalia: Ah. The Uninitiated might be confused. Melpomene: Or think we mean all that stuff about woman being an incomplete man. Melpomene: What we mean, or what we refer to with that phrase, is . . . .
Thalia: TALL WOMEN! Beautiful women! Melpomene: Sometime, somewhere, Aristotle points out that only tall can be properly proportioned. Thalia: Ergo, only tall women be beautiful! Melpomene: We take this as a personal compliment. And disclude Helen from our ranks. Thalia: She was a scaredy cat without whiskey! Poor Helen! Alas Hector! 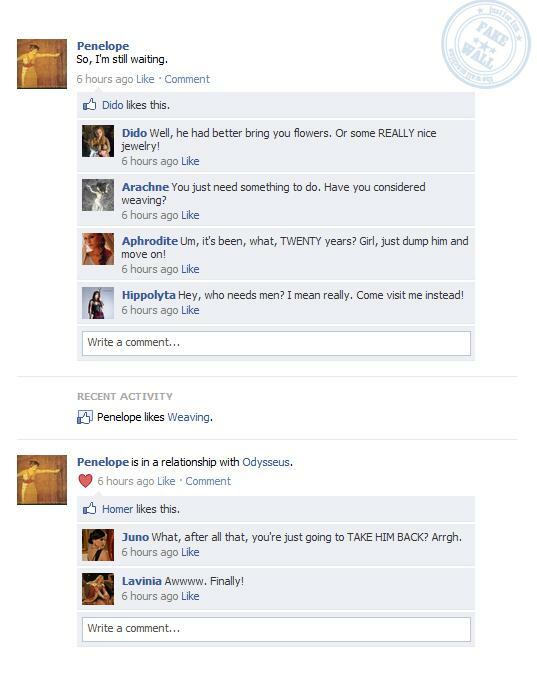 Melpomene: Let us not discuss Hector right now. He hurts my heart. Thalia: He pains me as well. We shall leave our Son Hector, my Muse! 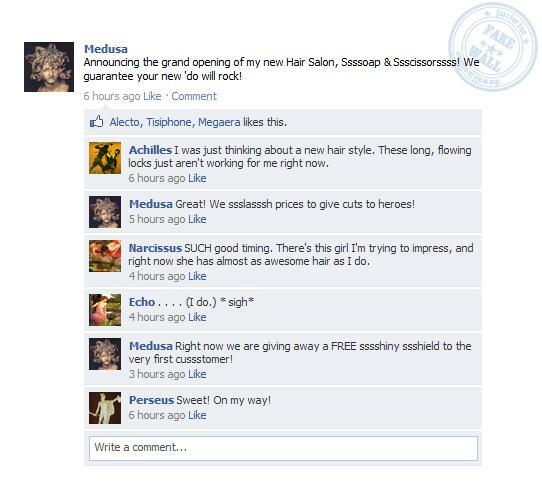 Thalia: *sigh* Returning to Helen. Melpomene: Perhaps that other use of “Aristotelian Woman” does give us some insight into her role. Thalia: She . . . . in the fact that she is considered an idea rather than a thing, became less than she should be. A human. Melpomene: Also, clearly she was not tall enough. Melpomene: She fell short of the True Ideal. Thalia: She was an inch. And a Thing! Melpomene: An inch! She needed some of the “Drink Me”! Thalia: Oh muse of my heart, I must fold laundry. Alice drank. And grew TALL! Melpomene: Go forth, beloved, and revel in the smell of clean clothes. Thalia:The 21st century …what can be said in its defense? Melpomene: In its defense, we are not required to BE Helens. We can simply be . . . women. 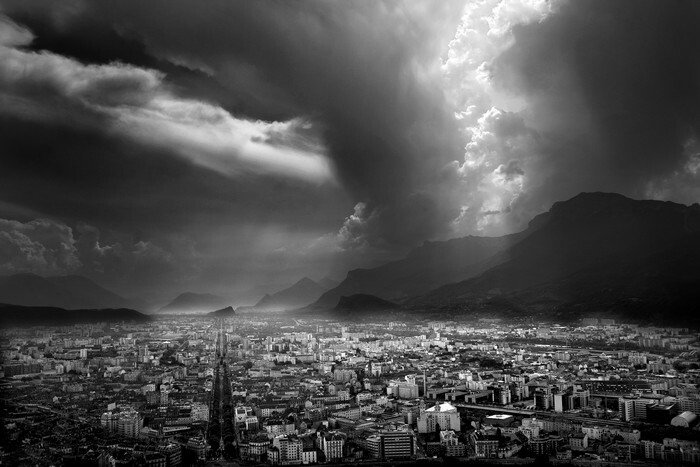 Melpomene: No city will fall on our account. No souls will be lost. Thalia: Even if the gods demand it? Melpomene: Again, thankfully, our God is not so arbitrary. Thalia: YES! But, may I request a match of fisticuffs? in exchange for my MilliHelen? Melpomene: With whom? Helen? or me? Thalia: Oh! No! among the Men, the lovers of Beauty! Melpomene: Ah. I see. Alright then. There ought to be some sort of test, or fight for them to win our womanly affections. Thalia: Consider the challenge issued. Men, the rest is up to you! If you insist that Beauty is worth the fight . . . .